In 1997, the Chicago Sun-Times came out with an article that showed Chicago as one of the highest kill cities in the nation. 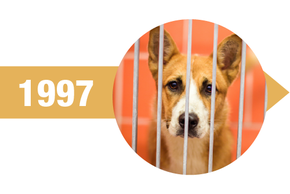 That year, 28,314 cats and dogs came into the city pound (officially called Chicago Animal Care & Control or CACC. ), and of those pets, 26,394 were killed (more than 93% of homeless pets taken in were euthanized). You can read about what Animal Care & Control was like back then in our Timeline and Milestones section, where we relay PAWS Chicago founders’ experience during their first visits. 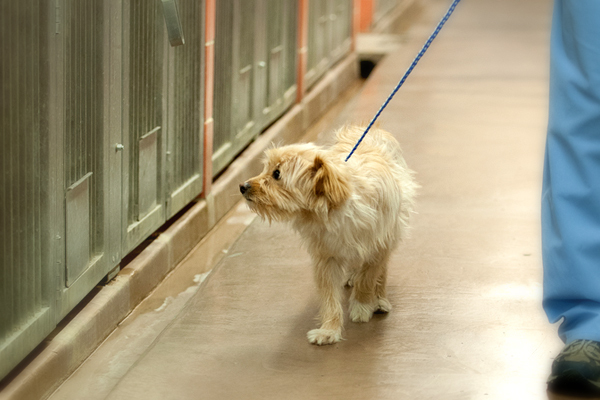 Ever since, PAWS Chicago’s primary focus has been helping the animals that end up there. Every year, we continue to make progress in saving lives. In 2018, 13,440 pets came through the city pound's doors and 1,777 were killed. 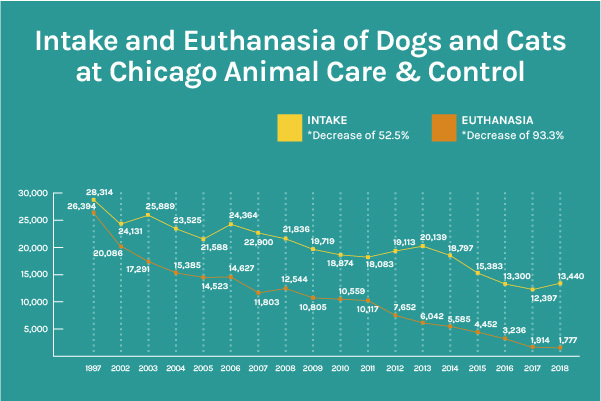 Since 1997, the Chicago community's response to the tragic killing of homeless animals has resulted in tremendous life-saving, with euthanasia rates declining at CACC by 93.3 percent. Witness the growth and transformation.